The flow rate of the pump is measured in gallons per hour, and it will affect how much water can pass through the pump. You never want to have a pump that’s rated at more than 1000 GPH less than the number of gallons in the pool. For example, if your pond is 2000 gallons, you will want a minimum of 1000 GPH for your pump. That is the minimum, and it may not be a great fit if you want a waterfall or fountain. Some pumps are installed inside the pond and others outside. Submersible pumps are installed underwater, so they take less plumbing and don’t affect the appearance of your pond area. However, they usually don’t last as long as external pumps. Pumps installed externally do need a little more plumbing, but they are easy to maintain and usually last long. You will need to find a way to disguise them around your pond if you want the most beautiful area. Pumps can be expensive to use if you’re not mindful of how much energy they are using. It might be more cost effective for the money you use to buy a more expensive pump that has a longer life and a lower energy use, instead of a cheaper pump that used more energy. Budget should be considered in terms of initial costs and cost of usage. You can calculate the energy usage and therefore the cost of pump operation with this pond cost calculator. It’s compatible with US and UK energy measurements. If you’re installing a waterfall, you will need to have a certain size of pump. Larger pumps can produce wider waterfalls and water fixtures, whereas smaller pumps will produce skinnier waterfalls and fixtures. Those that want to make a combo of any sort of fixtures will need a few more gallons per hour than those that want something simpler. Different fish may need more moving water than others to remain healthy. The best pond pumps for koi may not be the same as for trout or beta fish. Consider the fish in your pond when you’re deciding on your pond pump type. This is a fairly large pond pump that is capable of pumping and filtering a maximum 2900 GPH. 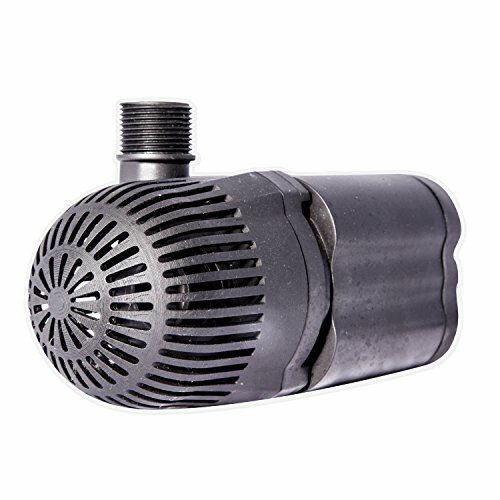 It’s a good choice for water fixtures and courses, because of the higher flow rate. You can use this pump with a large pond and have a lot of success. 130 kWh of power are used with this pump. The Max-Flo pump is a submersible pump that’s flat in shape to help it stay upright and stable underwater. It can be installed in a key-lock shaped cage to keep it properly placed and operating at maximum efficiency. You should install this on the very bottom of your pond for best effectiveness. This is a submersible pump that’s available in sizes from 2100 GPH to 8000 GPH, which means it’s a great choice for most larger sized ponds. It has a strengthened ceramic impeller for longer life and more effective pumping. The pump also filters water while pumping. TotalPond’s submersible pump is available from 1200 to 5100 GPH to compensate for any pond size and water feature needs. It’s good for small features, rather than larger features, including waterfalls and fountains. This pump has a maximum pumping height of 16.5ft, so you need to plan accordingly to keep it work well on your property if you have a deep pond or a tall feature. A mesh barrier helps to protect the pump from outside particles and debris. 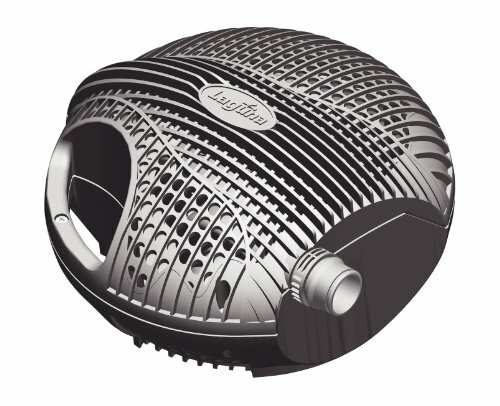 It does not come with its own filter system or other accessories for installation and includes the pump only. You can expect this pump to run at around 106 kWh for the smallest pump size. Of the 3 pond pump reviews I have above, it’s my opinion that the Alpine PAL3100, 3100 GPH Cyclone Pump – 33’ is the best pond pump. 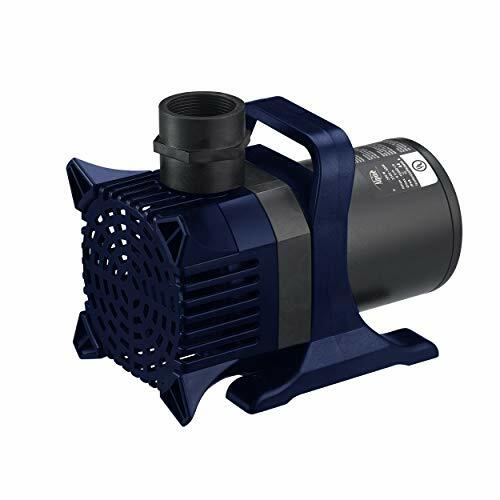 It’s a quality pump that’s easy to install, has a good energy efficiency rating for its size, works well for water features, and is a good tool for helping your fish get the air they need. If you want more bang for your buck, I would recommend trying out this pump and seeing how well it works for your pond.